During press conference following elections, Trump engages in heated confrontation with CNN reporter. 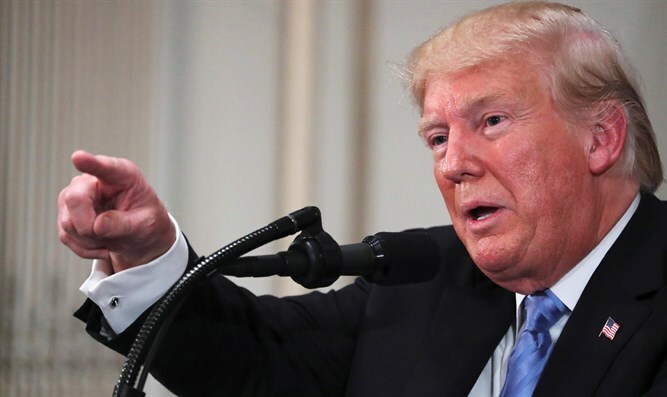 US President Donald Trump had harsh words for a CNN reporter who heckled him during a press briefing Wednesday, following the midterm elections in which the Democrats retook the majority in the House while the Republicans maintained their Senate majority. Acosta then cited a campaign ad showing "migrants climbing over walls." “They weren’t actors,” Trump replied. Trump then scolded Acosta, calling him a “rude, terrible person." “CNN should be ashamed of itself having you work for them. You are a rude, terrible person. You shouldn’t be working for CNN. "When you report Fake News, which CNN does a lot, you are the enemy of the people," he added.